SARASOTA, Fla., Oct. 11, 2018 – 2016 Olympic and 2018 U.S. all-around champion Simone Biles of Spring, Texas/World Champions Centre, won the all-around at the 2018 U.S. Women’s World Team Selection Camp competition. 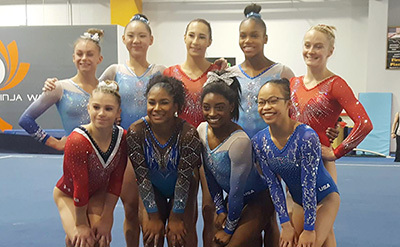 The one-day competition was held as part of the Team Selection Camp at EVO Athletics in Sarasota, Fla. The complete U.S. Women’s Team will be named on Friday, Oct. 12. In the all-around, Biles tallied a 59.700 for the top spot. Riley McCusker of Brielle, N.J./MG Elite, earned a 57.350 for second, followed by Grace McCallum of Isanti, Minn./Twin City Twisters, in third with a 55.400. Rounding out the top five were Morgan Hurd of Middletown, Del./First State Gymnastics, and Ragan Smith of Lewisville, Texas/Texas Dreams Gymnastics, in fourth (55.250) and fifth (55.050), respectively. Starting on the uneven bars, McCusker earned the top score at 14.950. Biles was second at 14.750, followed by Alyona Shchennikova of Evergreen, Colo./5280 Gymnastics, at 14.600. Hurd (14.300) and Shilese Jones of Westerville, Ohio/Future Gymnastics Academy (13.800), took fourth and fifth. 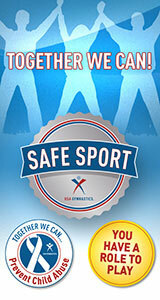 Kara Eaker of Grain Valley, Missouri/ Great American Gymnastics Express, posted the highest beam mark at 15.150. McCusker’s 14.100 put her in front of Smith at 13.950. Biles claimed a 13.850, followed by McCallum at 13.650. Biles took control on the floor exercise with her 15.100. McCallum was next at 14.300, followed by McCusker (13.850), Smith (13.650) and Eaker (13.550). On vault, Biles nailed her Yurchenko with a half turn on with a stretched salto forward with two turns, which could be called the Biles if she performs the vault successfully at the World Championships, for a 16.000. Jones nabbed a 14.750 for her vault, followed by Jordan Chiles of Vancouver, Wash./Naydenov Gymnastics, at 14.700. Smith and both McCallum and Hurd were separated by 0.100, 14.600 to 14.500. Tom Forster, the women’s high-performance team coordinator, is overseeing the selection camp. The members of the Athlete Selection Committee are: Forster; Terin Humphrey, athlete representative; and Tatiana Perskaia, International Elite Committee representative.